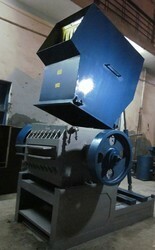 Backed with support of team, we are engaged in offering a flawless series of Scrap Grinder to the valuable customers. PVC pipe grinder . Capacity- upto 200mm pipe. With 40 hp branded motor and auto starter. Our motto – Minimize Wastage and Maximize Profits. All our machines are well known for their Ruggedness, Reliability and Low Power Consumption. Low Noise Enclosure Option is available for the above models. Suitable for grinding Pipe scrap of PVC, HDPE, Profiles and also pipe fittings. Side chute is provided for direct feeding of long scrap pipes / profiles. Scrap Grinder is used for recycling of rejected moulded products. The rejected products are cut into pieces then grinded to use. Aimed at prosperous growth in our domain, we are instrumental in manufacturing and supplying an excellent quality range of Scrap Grinder. 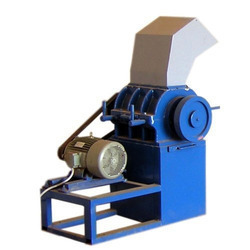 Backed ourselves with sound amenities and talented personnel, we have emerged as one of the leading organization engaged in offering wide assortment of Scrap Grinder Machine. In adherence with defined industry norms, the offered machine is manufactured from the developed technology and with the aid of finest quality components. Riding on unfathomable volumes of industrial expertise, we are actively committed towards manufacturing world class Scrap Grinder Machine. Heavy Duty Hopper is fabricated of mild steel sheet.